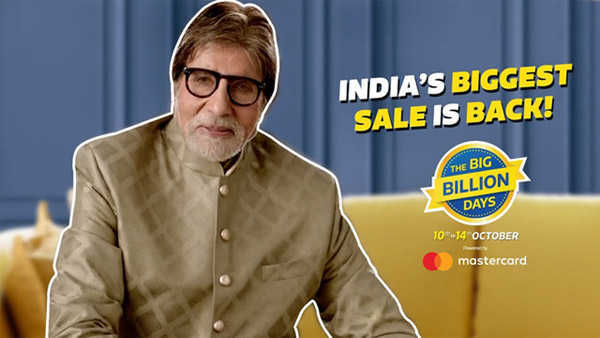 TV is second largest selling category online, and with latest finance options like Debit Card EMI from your Bank, its easier to buy TV online with low EMI from Rs 1,000 per month. Banks like SBI, HDFC, Axis and ICICI provide this facility to buy TV on EMI with your bank’s Debit Card. 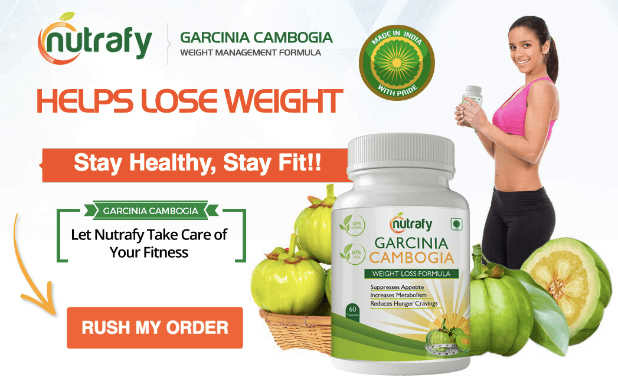 Online stores like Amazon and Flipkart provide this easy EMI. 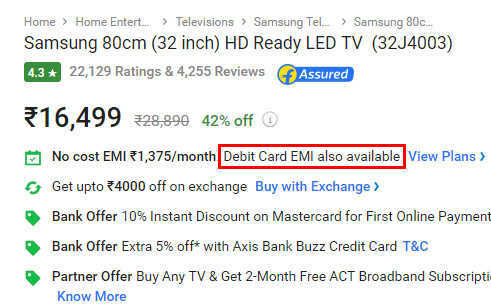 Most of the TV brands like Samsung, Mi TV, Sony TV are available on Debit Card EMI and some brands offer No Cost EMI with Debit Card as well. You can check if your selected Television brand is available on Debit Card EMI with your Bank..
Go to product details page and check if Debit Card EMI available. 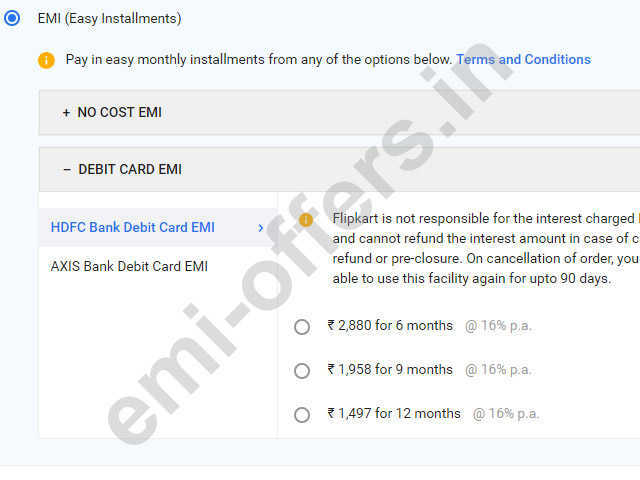 Click on “View Plans” and information about debit card emi with bank and interest details will available. If product is available you can follow further steps to buy TV on Debit Card with EMI options. 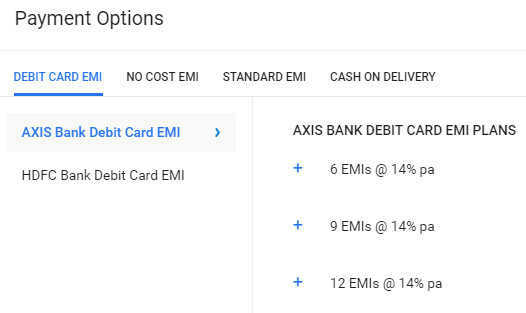 Follow regular checkout method like select address , and in checkout select EMI (Easy Installments) Debit Card EMI as shown in below screenshot. 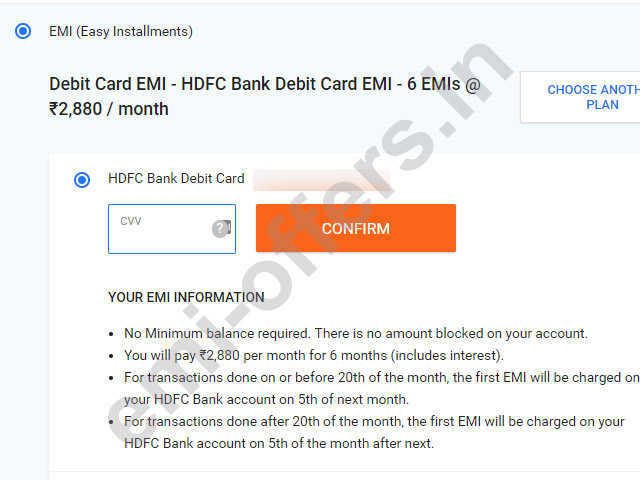 For example only I have selected HDFC Debit Card with 6 Month EMI , once you choose the plan enter CVV and OTP in next steps to complete your purchase.